The premise of Netflix’s new sci-fi show Altered Carbon is simple: After 250 years of suspended animation a prisoner is returned to the world with exactly one chance to save his life – he must solve a “mind-bending” murder. And, oh, by the way, his consciousness has been digitized, downloaded and stored in the “cortical stacks” implanted in the spine of his new body. The future Altered Carbon depicts is less than optimistic; think the bluesy, morose zeitgeist of Blade Runner, as opposed to the love letter to humanity that was Interstellar. 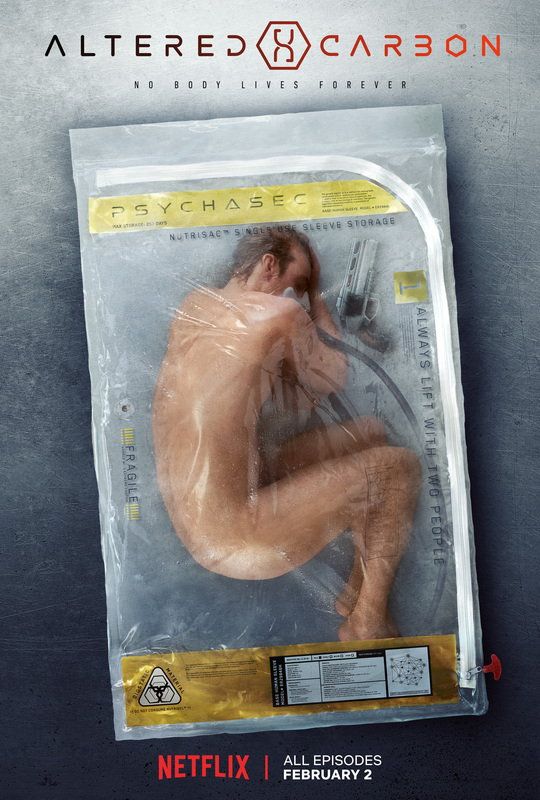 Altered Carbon is based on the Richard Morgan novel of the same name, his first book in the Takeshi Kovacs cyberpunk trilogy.